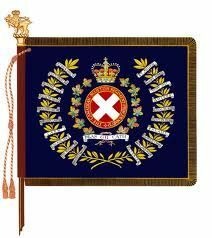 The large and powerful pro-Scottish citizenry of Victoria appealed for the formation of a Highland regiment in Victoria to augment the 88th Regiment (Fusiliers), which had been formed in September 3rd, 1912. Thus on August 15th, 1913 the 50th Regiment (Gordon Highlanders) was authorized. Victorians of Scottish heritage immediately purchased equipment and uniforms to fully outfit 500 men. Lieutenant-Colonel Currie, an experienced officer with a strong Scottish background, was appointed commanding officer upon relinquishing command of the 5th Garrison Artillery, Victoria. 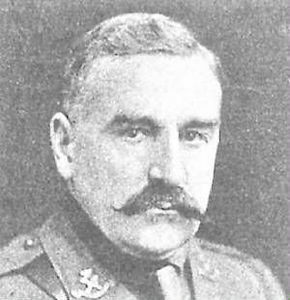 Upon the declaration of war, Currie was promoted and placed in command of the 2nd Canadian Infantry Brigade. A superb tactician, his “Mobile Tactics of War”, was put into effect at Vimy in 1917. These broke the stalemated slaughter of trench warfare and were later perfected in the Second World War. In 1917 he was dubbed Knight Lieutenant-General Sir Arthur Currie, KCMG. The 88th Regiment Victoria Fusiliers and the 50th Regiment were placed on active service on August 10th, 1914 for local protective duty. These Regiments contributed to the 7th and 16th Battalions, Canadian Expeditionary Force, on their respective formation in September 1914. Later they recruited for the 48th, 67th, 88th 103rd, and 143rd Battalions, Canadian Expeditionary Force. The 16th Battalion (The Canadian Scottish) was formed from four companies of unrelated highland regiments. On the sea voyage to England the battalion was still dressed in four different styles, tartans and badges. The First Canadian Contingent sailed for England in October 3rd, 1914. The 16th Battalion was part of the 3rd Infantry Brigade, 1st Canadian Division. Its motto, ”Deas Gu Cath”, was adopted on the third day of the voyage. It was on December 16, 1914 on Salisbury Plain, that the battalion was subtitled ‘(The Canadian Scottish)’. It sailed for France in February 12, 1915, and disembarked at St. Nazaire three days later. Between February 17th and March 2nd each Canadian brigade was attached to a British division in front of Armentieres for indoctrination in trench warfare. The Canadian division then relieved the 2nd Border Regiment south of Fleurbais. In mid-April the Canadians relieved a French Division in front of Ypres. French defensive policy, in the event of an enemy attack, was for the front line troops to fall back and let the artillery deal with the attackers. British policy, reflected in Canadian orders, was to hold the trenches at all costs. Thus the Canadian’s first task was to develop forward defences. At 1600 hours on April 22nd French Colonial troops on their left came under heavy bombardment, followed an hour later by the first gas attack in the history of warfare. The line broke, exposing the Canadian flank and opening the way to Ypres. That night the 3rd Brigade partly restored the situation by counter-attacking with the 10th and 16th Battalions; though much further fighting, including a second attack with gas, lay ahead. To commemorate the first night’s counter-attack on Kitcheners Wood, the Reserve units perpetuating the 10th and 16th Battalions (in the case of the 10th, The Calgary Highlanders) wear on their shoulders an emblem of an acorn and an oak leaf. The war cost the 16th Battalion 5,491 casualties of which 1,412 were fatal. 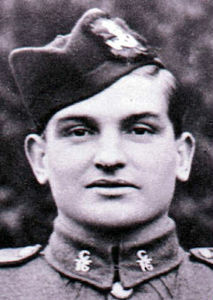 Honours and awards included four Victoria Crosses awarded to: Private (Piper) J. Richardson, October 8, 1916; Private W.J. 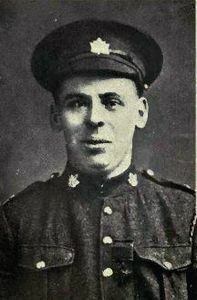 Milne, April 9, 1917; Lance Corporal W.H. Metcalf, MM, and Lieutenant-Colonel C.W. Peck, DSO, both on September 2, 1918. Other awards included 9 DSO’s, 40 MC’s, 30 DCM’s and 204 MM’s plus French, Belgian, Russian, Serbian, Montenegrin and Italian medals (Canadian Scottish specialists were posted to assist Allied armies). The 48th Battalion served in the field as the 3rd Canadian Pioneer Battalion (48th Canadians), with the 3rd Canadian Division from March 9, 1916 to April 17, 1917, when its personnel were transferred to combatant battalions. The 67th Battalion served in the field as the 67th Canadian Pioneer Battalion with the 4th Canadian Division, from August 14, 1916 to April 28, 1917 when its personnel were also transferred to combatant battalions. The 88th, 103rd and 143rd Battalions provided reinforcements for the Canadian Corps in the field. The 16th Battalion returned on the Empress of Britain on May 4, 1919 to find that, like most Canadian Expeditionary Force battalions, it had no regimental home. On May 7th in Winnipeg, it was demobilized. On March 15, 1920 General Order No. 30 reorganized Victoria’s 88th and 50th regiments into The Canadian Scottish Regiment, NPAM. On March 15, 1927 the Regiment became allied to The Royal Scots (The Royal Regiment). 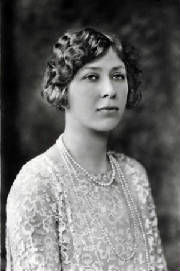 On April 24, 1930, Her Royal Highness Princess Mary became the Colonel-In-Chief. On August 1, 1930 the 2nd Battalion was created, with headquarters in Nanaimo, British Columbia. On June 1, 1931 HRH Princess Mary authorized the wearing of the Hunting Stuart and with it uniformity of dress with The Royal Scots. The Distinctive Oak Leaf and Acorn Canadian Scottish shoulder titles were specially authorized on September 15, 1934 for the 1st Battalion as an honourary distinction commemorating the Ypres Battle of Kitcheners Wood (St. Julien). On October 12, 1938 a special Regimental Memorial (Vimy Cross) was consecrated in Pioneer Square, Victoria. On this occasion the battalion wore the Kitcheners Wood emblem for the first time. On August 25, 1941, after training in Debert, the 1st Battalion boarded ship for England, docking at Glasgow at the beginning of September. HRH Princess Mary inspected it on September 23, 1941. Friendships were struck up with The Royal Scots, who adopted and kept Wallace in Edinburgh Castle for the duration of the war. Two years and nine months of training in southern England would ensue before it would be able to take part in the liberation of North West Europe. The Canadian Scottish boarded assault ships in June 3, 1944. One company landed in Normandy on June 6th (D-Day) as a component of the 7th Infantry Brigade, 3rd Canadian Infantry Division. The main body, under Lieutenant-Colonel F.N. Cabledu, followed in 7th Brigade reserve and passed through the other two battalions. With the Scottish in the lead, the assaulting brigade advance a total of six miles farther inland than any other assaulting brigade of the British Second Army. Its first twelve hours of action had cost the battalion 87 casualties against an estimated 200 inflicted on the enemy. One of the battalion’s last actions of war was the clearing of the Dutch village of Wagenborgen. It first attacked on April 21, 1945 with only one company, but that proved insufficient. Two days later it successfully attacked with three companies and beat off repeat counter-attacks. Canadian Scottish casualties at Wagenborgen were 23 killed and 41 wounded. Estimated enemy casualties, as on D-Day, were 200. In 1958 the regiment received 17 Second World War battle honours, but Wagenborgen was not among them. Thirty years later, a former commanding officer succeeded in having the error rectified. Many battle honours were earned as the regiment passed through France, Belgium, and Holland and over the Rhine into Germany. Lieutenant-Colonel D.G. Crofton accepted for formal surrender of all German Forces in Calais after bloody battle on October 1944. On November 2, he accepted the pistol of the commanding officer of the German forces of Cadzand, taking over 800 prisoners. Lieutenant-Colonel Crofton was wounded in Niel, Germany on February 8, 1945. His successor, Major LS Henderson (later Colonel) was preparing to assault Aurich in May 5, 1945 when news of Germany’s surrender was received. Returning to Canada, the active role of the 1st Battalion ended on January 15, 1946, when it reverted to reserve status. On April 1st the 3rd Battalion, less its numerical prefix, became a one-battalion regiment of the Canadian Army (Regular Force). Total battle casualties for the Scottish were 349 killed or died of wounds, 952 wounded and 85 taken prisoner. Honours and awards included 4 DSOs, 6 MCs, 5 DCMs and 13 MMs. The regiment mobilized the 2nd Battalion, The Canadian Scottish Regiment, CASF, on January 1, 1941. This unit served in Canada until disbanded on October 15, 1943. The 4th Battalion, formed in June1, 1945 for service in the Canadian Army Occupation Force, was disbanded on April 29, 1946. The 2nd and 3rd (Reserve) Battalions served in the Reserve Army. In May 1951, the Canadian Army raised a new brigade group of the Active Force for service in West Germany under the North Atlantic Treaty Organization (NATO). The 1st Canadian Highland Battalion, D Company, represented the infantry units until October 1953, when the entire unit became a Battalion of The Black Watch (Royal Highland Regiment) of Canada. The 1950 reunion of the Canadian Scottish veterans was perhaps the largest ever held in Victoria. Some 500 veterans assembled in Pioneer Square, where a granite reproduction of the original wooden Vimy Cross, now encased in the Bay Street Armoury, was dedicated to the fallen of both wars. The post-war years have been highlighted by the official visits of HRH Princess Mary on October 15, 1955 and June 16, 1962, when she presented new colours, which carry the battle honours from both world wars. The sadness of her death on March 28, 1965 was relieved by the appointment of HRH Princess Alexandra, The Honourable Mrs. Angus Ogilvie, as the new Colonel-In-Chief on June 11, 1977. Freedom of the City of Victoria was presented to the Regiment on June 6, 1964, and the freedom of the City of Nanaimo on October 5, 1974. HRH Princess Alexandra visited The Canadian Scottish Regiment (Princess Mary’s) on May 2, 1980, and on this occasion officially opened the Regimental Museum. On Saturday, September 23, 1989, during her second visit, HRH Princess Alexandra presented the new Queen’s Colour to the Regiment. Today the unit remains spread across Vancouver Island with the Battalion Headquarters, A Company, Administration Company, and the Pipes and Drums in Victoria at Bay St. Armoury. B Company consists of a platoon in Nanaimo and one in Courtenay at Seal Bay. The Canadian Scottish Regiment is the largest unit in British Columbia and is one of few units in Canada authorized to have two companies as “mission elements” under the Total Army Establishment (TAE). Honourary Distinctions – Oak Leaf Shoulder Badge, which commemorates Kitchener’s Wood, 1915 – our first battle. Three equal horizontal bars of colour with Scarlet Red over Dark Blue over Hunter Green. It can be awarded to members of the Canadian Forces of any rank in any service, and to allies serving under or with Canadian military command. It is the highest honour in the Canadian honours system. The Canadian medal is based on the original Victoria Cross instituted in 1856, although the Canadian version has several small changes in its appearance. To accomadate the official languages of Canada, the motto on the insignia has been changed from "For Valour" to the Latin "Pro Valore". Another small change is the addition of the Fleur-de-lis at either end of the scoll bearing the motto to accompany the traditional rose, thistle, and shamrock, thereby establishing a link with the floral elements found in the Royal Coat of Arms. 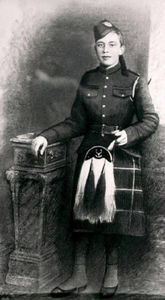 Princess Mary was appointed Colonel-in-Chief of The Canadian Scottish Regiment by her father, King George V, in 1930. On 29 April 1948, her name officially became part of The Regiment's title as The Canadian Scottish Regiment (Princess Mary's).She remained the Colonel-in-Chief of The Regiment until her death in 1965. Princess Alexandra was appointed Colonel-in-Chief of The Canadian Scottish Regiment (Princess Mary's) on 11 June 1977. 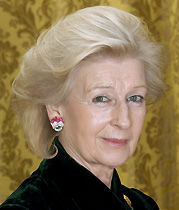 She is the Queen's first cousin, and the niece of the late Princess Mary, Princess Royal and Countess of Harewood. Born in 1936, she is the second child and only daughter of the late Duke and Duchess of Kent.